Lots of people go to Florida in the winter for a variety of different reasons. Some go for the nightlife at South Beach. Others go for the interactive displays at Epcot Center. But if sporting clays is your passion, the reason to be in Okeechobee, Florida, February 22 - 26 was to compete in the 13th annual Seminole Cup. Presented by Seminole Gunworks along with title sponsor Caesar Guerini USA, the 2006 Seminole Cup was held at the spectacular Quail Creek Plantation. Boasting 2700 acres of land, two clays courses, and banquet facilities that can accommodate more than 400 people, it’s easy to see why Quail Creek got the nod when TM Ranch could no longer host the event. Judging from the feedback I got from both shooters and sponsors, this is going to be a very long and happy relationship. More than 400 shooters in attendance obviously agreed. Okeechobee is located in south-central Florida, just north of Lake Okeechobee. Its close proximity to both Orlando (with Disney World and Epcot Center) and Palm Beach (with its upscale shops and fine dining) makes it an ideal spot for a family vacation. Add in Florida’s famously mild winters and you’ve got a perfect reason to escape the cold and snow of the rest of the nation. Seminole is so serious about making sure you have a good time at this event, that the Okeechobee Tourist Development Council is actually one of the shoot's sponsors. It’s also no coincidence that The Rhino Rally was held the week before at Florida's Rhino Outdoors. Even though there are many fine clubs in the southern Us, Quail Creek is second to none. Under managing partners Fred & Maria Fanizzi’s leadership, what started as a privately owned quail hunting ranch was turned into a world-class sporting clays facility. In 2002 Marty Fischer was hired to design their first sporting clays course. From there they added in cart paths, a fully stocked pro shop / clubhouse, and stations with cover, gun racks, water and seating. Not content to just offer world-class clay shooting, next came the banquet facility that is now legendary for the food they serve. Before the tournament season gets into full swing, follow this shooting coach’s steps to kick off your season right. To make practice regimens the solid foundation of your progress, insist on a plan with specific objectives. The 28th Annual Shooting, Hunting, & Outdoor Trade (SHOT) Show once again provided companies with a forum to introduce new products that will grace the shelves of sporting goods and gun shops across the nation. A one-stop sporting directory for everything from apparel to stockwork. 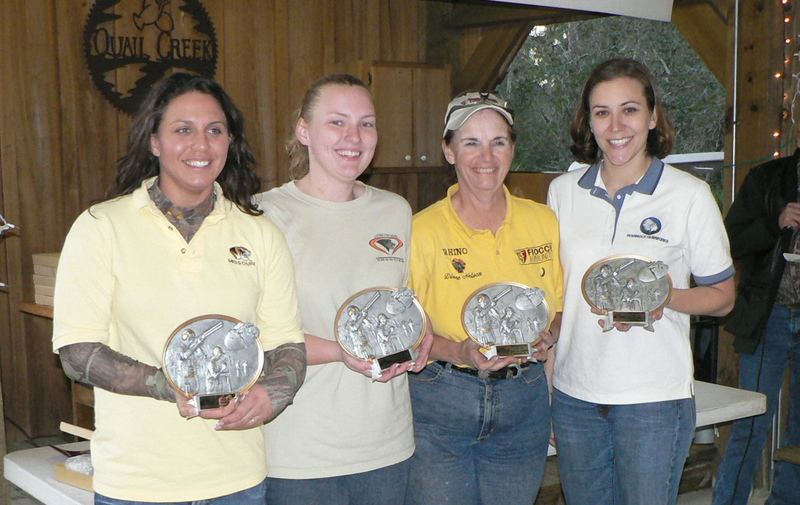 Copyright © 1996 to 2006 by Sporting Clays, Ltd. All rights reserved. Contents may not be reprinted or otherwise reproduced without written permission of publisher.